Dr. Taiye Hussein Aliyu joined the services of the University of Ilorin as an Assistant lecturer on 17th June 2008. He attended Rimi College Kaduna and Federal Government College Kaduna for his West African School Certificate (WASC) and Higher School Certificate (HSC) respectively. He is an alumnus of the University of Ilorin and obtained his Ph. D from the same Institution in 2013. 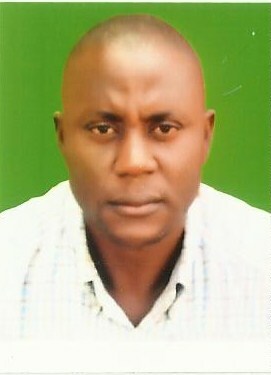 He is at present, a Senior Lecturer in the Department of Crop protection, University of Ilorin. He teaches and supervises both undergraduate and postgraduate students. His research interests are: (i) The diagnosis of viral diseases on arable crops using molecular methods. (ii) Survey of incidence and severity of plant virus diseases on arable crops in Nigeria. (iii) Crop protection and environmental sustainability issues. (iv) Eco-friendly plant protection strategies for sustainable agricultural development in Nigeria. (v) Environmental pollution studies as it affects irrigation water. (vi) Sustainable use of plant protection products for agricultural improvements.